Incorporated in 1982, TEL (Turbo Energy Limited), a Joint Venture between Brakes India Limited, Sundram Finance Limited and BorgWarner Turbo System (formerly known as KKK - Germany) and having head office in Chennai along with 3 manufacturing facilities, is one of the leading manufacturers of the turbo chargers for engines. The products of the company find application in automobile, industrial and marine segments. The green building movement in India had just started and being a reputed and pioneering brand, the TEL team was eager to design and construct the Office Building of Turbo Energy as the "Greenest Building in the World" as per USGBC LEED V1.0. Numerous passive design concepts and strategies evolved using simulation techniques. Daylighting simulation was conducted to ensure the optimum natural light via glazing system. The complete air-conditioning system was made to work on solar energy. Green power generated using Solar PV and micro wind turbines, thus reducing the burden on the external grid. 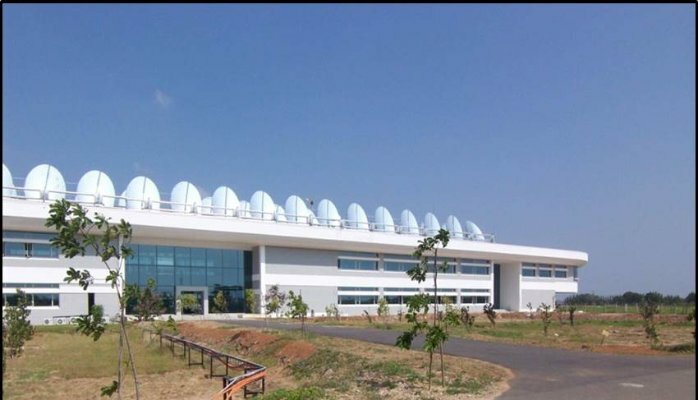 In the year 2009, Turbo Energy Limited's (TEL) ‘R&D and Administration Block', at Paiyanur, Chennai achieved the highest points 62/ 69, under the USGBC LEED - NC v2.2, thus becoming the second greenest building in the world after ‘Dockside Green' Project Phase I – Synergy project in British Columbia with 63 Points in the same year. The project got Full Points (17/17) in the energy and atmosphere category of the LEED Rating system, with a saving of 48% in energy consumption over ASHRAE. The energy saved due to passive architectural design was 5.2% of the overall energy consumption of the building on ASHRAE baseline. The project also achieved Full Points in Water Efficiency and Indoor Environment Quality. "We appreciate Conserve's efforts and active involvement in this project right from the beginning. We are extremely happy with the day lighting design and simulation and Conserve's help in selecting the right glazing system. The project has hardly used any artificial light over the last one full year of operation. With their help in Solar Air-conditioning system the project has earned full 10 points in this category and also 17 out of 17 points under energy and atmosphere which is highest point any one can get."